Rendering of “The Uptown” courtesy of Westland Real Estate Group. North Long Beach will get its first-ever brewery to be located in a development along the Atlantic corridor expected to break ground this spring. The news that Long Beach Beer Lab will be the first brewery in the city’s northside was revealed recently by Vice Mayor Rex Richardson who has been working to revitalize the Atlantic corridor in the 9th District. Richardson revealed the brewery and an unnamed coffee house as some of the major tenants at The Uptown—what city officials are calling a 19,632 square-foot development located at 6151 Atlantic Avenue, between Harding and 61st streets. 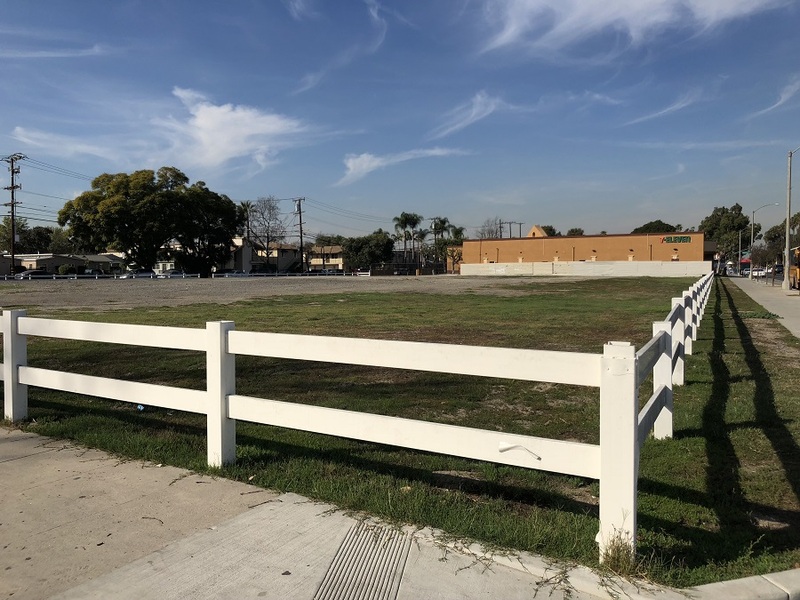 The property will include a city-owned vacant lot located to the south of the block as well as retail space on the north side owned by Westland Real Estate Group. Richardson said the city will sell its lot to Westland to redevelop. While some existing tenants will remain inside the shopping center, like the 7-Eleven convenience store, the property will be completely transformed to unify the whole block with unique architecture and shipping containers similar to SteelCraft, Richardson said. Future place of “The Uptown”. Photo by Stephanie Rivera. The project will be presented to the planning commission in February or March. The Uptown is on track to be the first of three major developments along Atlantic Richardson is envisioning as the Main Street for North Long Beach. The other two developments include Uptown Commons on Atlantic Avenue and Artesia Boulevard spearheaded by Frontier Real Estate Group and Canvas by LAB Holdings, which includes the 8th District. The projects are part of a larger “Uptown Renaissance” plan by 9th District and city officials that includes initiatives and partnerships meant to spur socio-economic opportunities, inclusion and equity. Medina Kabir contributed to this story.